Kendrick Lamar and Drake breathe some new life into an old tune on their collaborative effort, "Poetic Justice," featured on the West Coast MC's debut LP, good kid, m.A.A.d city. The Scoop DeVille-produced track finds Drizzy and Lamar serving verses about their respective lady love. The gem on this project is the sampling of Janet Jackson's 1994 hit "Any Time, Any Place." "Poetic justice, if I told you that a flower would bloom in a dark room would you trust it,? 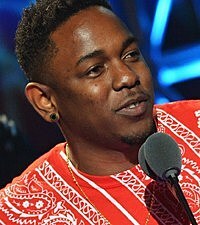 the Black Hippy member raps on the song, which shares the same title of the 1993 film Jackson starred in alongside Tupac Shakur. good kid, m.A.A.d city, arrives Oct. 22.